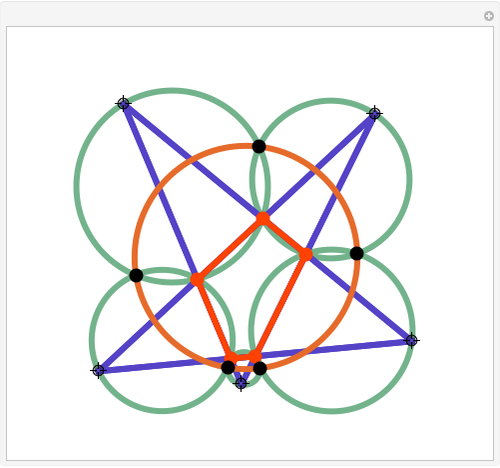 Extend the sides of a pentagon to form five triangles, one on each side of the pentagon. 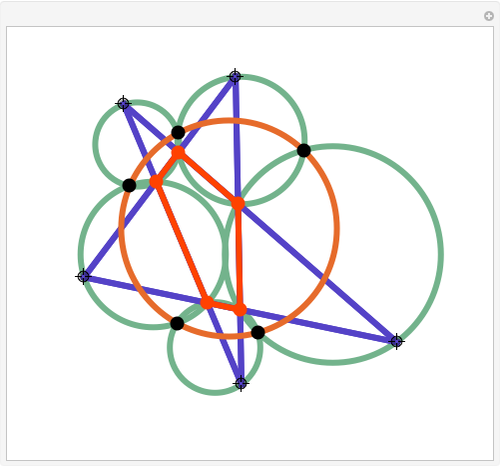 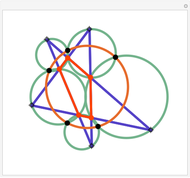 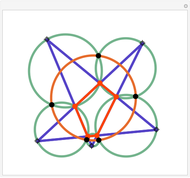 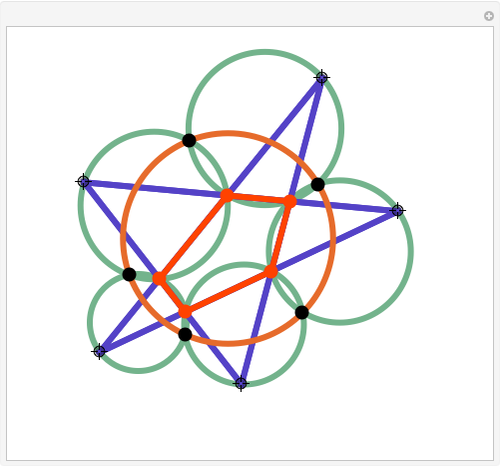 Then the five points of intersection of neighboring pairs of circumcircles that are not on the pentagon lie on a circle. 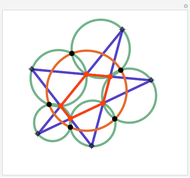 Jay Warendorff "Miquel's Pentagram Theorem"